Ball valve design. Cast bronze. 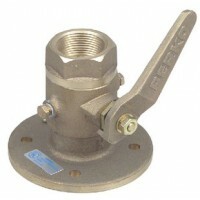 Meets needs of applications that require long, scoop or flush type t..
Includes: thru-hull, hose adapter, drain plug, four pre-drilled mounting holes and bonding screw. In.. Cast bronze. Complete with drain plug and bonding screw. 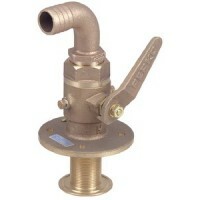 Ball valve for smooth operation. 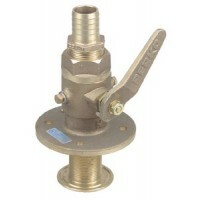 Pipe: 1/2"..
Vetus, Ball Valve 12 Volt G 1/2, EBV123/4..
Vetus, Ball Valve 12V G2, EBV122..
Vetus, Ball Valve 24V G 3/4, EBV243/4..
Vetus, Ball Valve 24V G1 1/2, EBV2411/2..
Vetus, Ball Valve 24V G1 1/4, EBV2411/4..
Vetus, Ball Valve 24V G1, EBV241..
Vetus, Ball Valve 24V G2, EBV242..
Vetus, Ball Valve G1-1/2, BV11/2..
Vetus, Ball Valve G1-1/4, BV11/4..
Vetus, Ball Valve G2 Stainless Steel, BV2..
Vetus, Ball Valve Stainless Steel G1, BV1..
Vetus, Bronze Ball Valve 1 1/4, BVB11/4..
Vetus, Stainless Steel Ball Valve - 3/4 Inch, BV3/4..